Several months ago I replaced my crappy OEM tank monitoring system with a new SeeLevel II system. If you missed it, you can go back and take a look at my unboxing and installation post and video. Note – I have no affiliation with the SeeLevel II manufacture Garnet Instruments, and I purchased this product at full price. 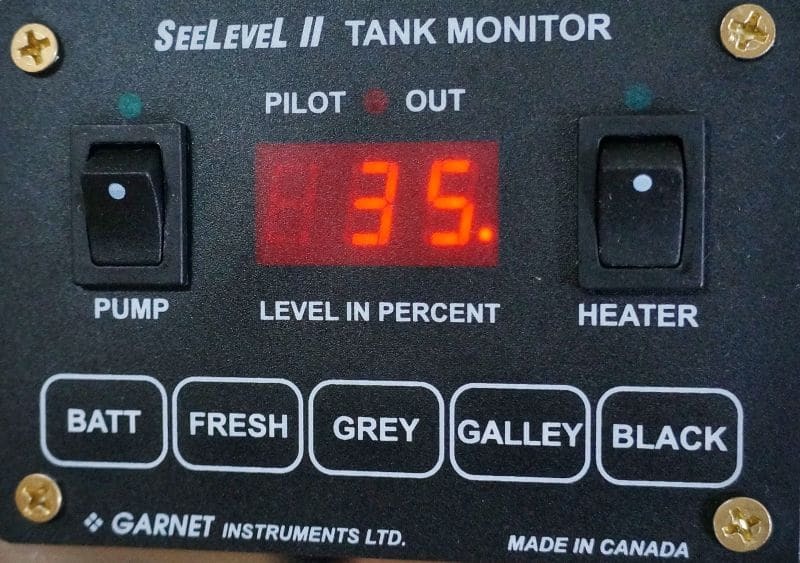 The SeeLevel II RV tank monitor system promised a higher resolution of the how much liquid was in my holding tanks. It features a digital percentage readout versus my existing [Empty] [1/3rds] [2/3rds] [Full] OEM dummy lights. 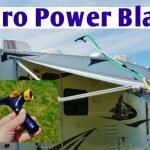 I put the system to an extended test during months of RVing in both full hookup RV Parks and boondocking with several thousand miles traveled. I’m back with my review. 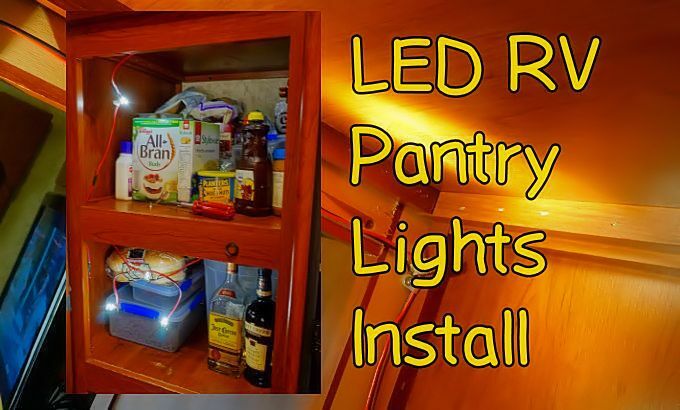 The wiring for the system is straight forward for anyone used to working with 12-volt DC type electrical hookups in their RV or automobile. The instruction booklet is well written, thoroughly explains things and features text big enough to read without a microscope! I don’t know about you, but most manuals these days are getting more challenging for me to read due to the teensy-tiny writing. 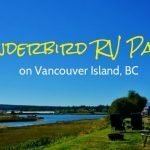 Depending on your particular RV things may get complicated, though. 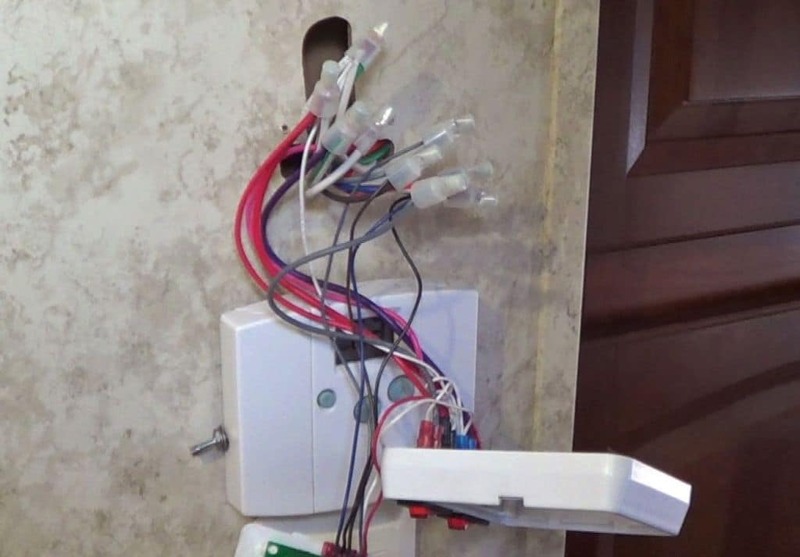 As most of us have come to know the RV industry is awful at providing electrical diagrams for our rigs. 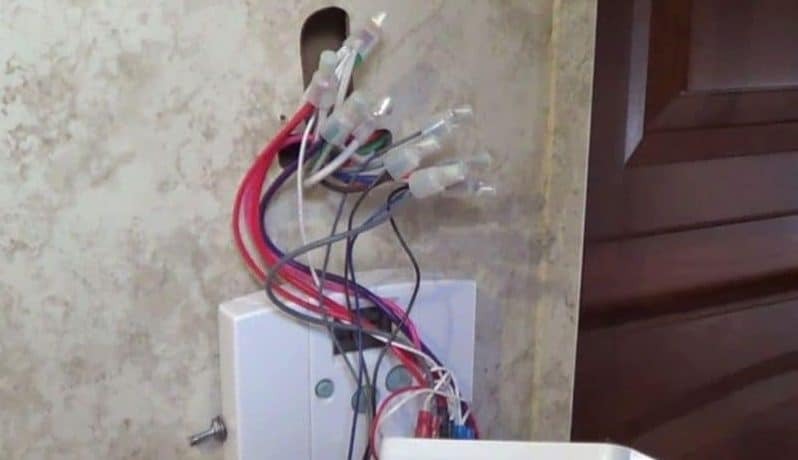 In my Cougar fifth wheel, I had to go through a rats nest of wiring behind my OEM panel and decipher what wire was what. Not too bad for myself being an electronic technician but likely over the head of many RVers. Once wired up the next step was mounting the digital sensor strips to the outside of the holding tanks. They are a simple peel and stick affair. 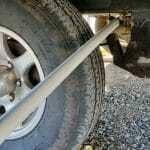 But again, depending on the rig this can be dead easy or frustratingly difficult. In my case, I needed to drop my belly cover in several places and crawl underneath. The spacing I had to mount the sensor strips was extremely tight, and you only get one good shot at sticking them to the tank. The 3M adhesive is extremely sticky. The manual suggests taping them in place to experiment with locations before the final install. Sensor ordering tip: When I ordered my system online they had a couple of sensor options. There were two sizes, one for deeper tanks and one for shallow. I neglected to measure my waste tanks and went by memory. Bad idea, I ordered the wrong sensors. I should have had the ones for shallow tanks, and it would have cost me in lost resolution. But, thankfully the Garnet company took pity on me and sent me out the right ones. Kudos to them! I give a definite thumbs up to the build quality of the components. The monitoring and control panel is well built and “Made in Canada” just like me! The buttons and switches feel solid, and the digital readout and indicator lights are bright and clear. The digital DC voltage readout is a bonus, very handy for a quick look at the state of our battery bank. The panel wiring uses a thick Molex connector and quality wire. The quality continues with the sensor strips circuitry, and the 3M adhesive works well. Everything has an industrial grade feel to it. Our Cougar fifth wheel has four holding tanks. They are a 60-gallon fresh water and three 40 gallon waste tanks: galley, gray and black. The holding tanks are wide and long but not very deep at about 7-9 inches. Since the SeeLevel II sensor strip is attached to the tank wall, I don’t see as fine a resolution as, for instance, a 2-foot tall tank would. Just not enough sensor segments. Even with the strips meant for shallow tanks the best I get is 25 units of liquid depth measurement. As an example with my fresh water tank as the level changes the percentage readout goes up or down in 4% steps. My waste tanks are worse being a little more shallow with curved bottoms I had to cut off one strip segment to fit. So, I see 5% stepping with them. Many times better than the old sensors and much more useful to me, but things don’t change 1% at a time like you would think. 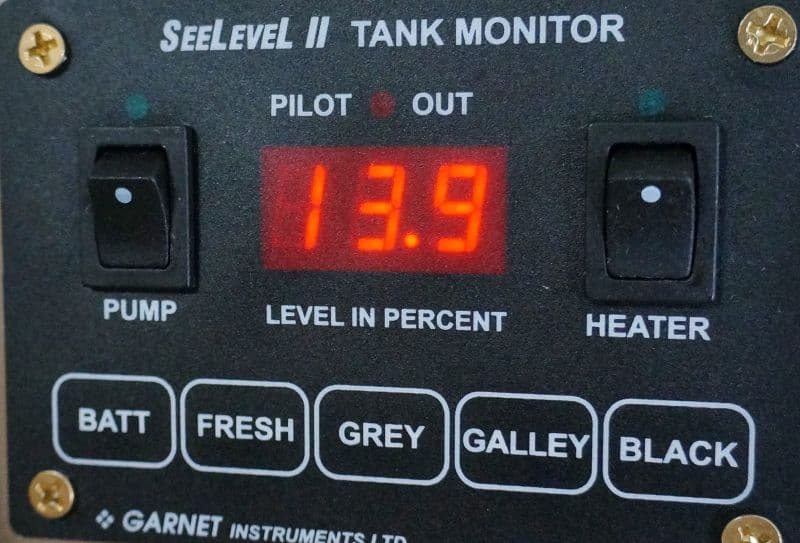 Being mounted on the outside of the waste holding tank the SeeLevel II sensor strips can never become fouled like traditional RV tank sensors situated inside the tank. But, I found they can still be fooled by dirty tanks. My fresh water and gray shower tanks worked wonderfully right away, but the galley and black were terribly inaccurate even though the system diagnostics reported I have excellent signal strength on those sensor strips. The user manual states: We get calls occasionally about older coaches that have been in service for a few years in which the black tank will now indicate a level even though it is empty. The likely cause is that the tank has a significant build-up, probably exceeding ¼ to ½ inch thick! 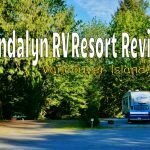 Well, I guess I’m one of the older RVs they are referring to. 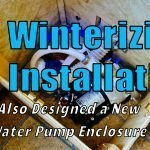 Though we’ve never had a problem with a plugged tanks there likely is a build up after nearly six years of mostly full-time RVing. To add to the problem, the rig was in storage for two months before I installed the new tank level system. To solve the problem I used and now recommend a waste tank product called TankTechs RX. 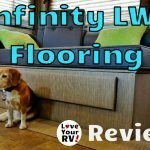 A fellow RVer highly recommended it to me, and after watching the video Making Sense of RV Holding Tank Treatments on YouTube, I was sold. 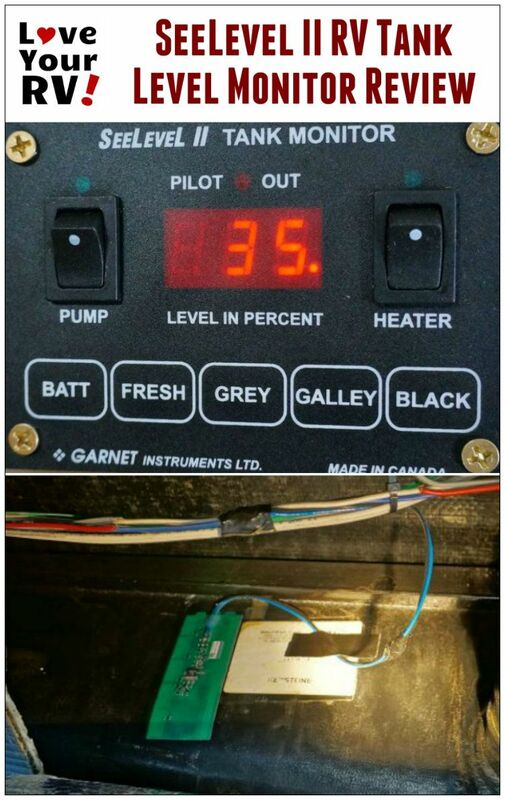 After a few weeks of using the TankTechs RX, my galley, and black tank sensors reporting accurately. 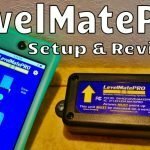 Overall I’m happy with my upgrade to the SeeLevel II holding tank monitor. I found the maker Garnet Instruments pleasurable to deal with. Through both email and on the phone the were polite and helpful, answering any product questions I had promptly. 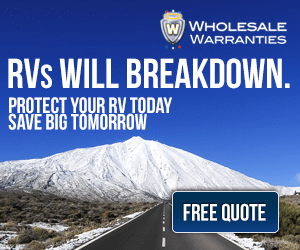 For RVers like us that spend a significant amount of time off grid dry camping having an accurate holding tank monitor with fine resolution is awesome. The new See Level system has proved most useful, especially when it comes to fresh water levels. In my mind, it’s a crying shame that many new RVs still come with the cheap dummy light level indicators.